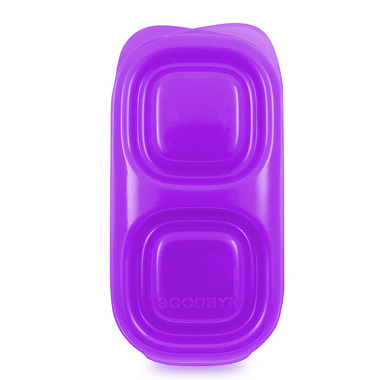 The new Goodbyn Snacks container has 50% more volume than before with a rounded lid (fits crackers and cookies). 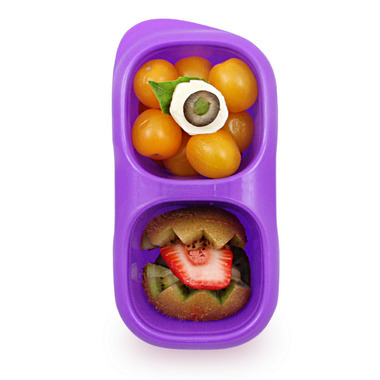 It also features an improved lid that stays shut but is still easy for little hands to open. Good, handy for snacks for lunches. Really love this container. It doesn't leak, it's easy to open and close and it fits well in my daughter's lunch bag alongside the two compartment Goodbyn so it's perfect for a balance day schedule. Easy to take lids off for kids but hard to get them back on. Easy for my 4 year old to open, but stays secure in her lunch bag.